Are you looking for a free SSL certificate to improve your website’s security? An SSL certificate is now mandatory for all websites. If you don’t have an SSL certificate installed on your site, then browsers like Google Chrome will show an error instead of your web page. In this article, we’ll show you how to get a free SSL certificate to keep your WordPress site away from security threats and malware. SSL is short for Secure Sockets Layer. It works like a firewall layer between the user and the web server for a safe browsing experience. When you visit a website URL, it sends information to the server and displays the web page in your browser. The information that you send to the server can be anything from a website URL, username/password, credit card details, personal information, email address, etc. This data is private and it needs to be handled sensitively. If you’ve not implemented an SSL certificate, then your website can be attacked or hijacked which means you can lose your important information. Hijackers use this information to blackmail users. It’s mandatory to keep your website protected under the HTTPS protocol by adding an SSL certificate. An SSL certificate can only be issued by a certified authority who’s recognized to provide SSL certificates for websites. When the SSL certificate is added to your site, you’ll see a padlock and HTTPS with your website’s URL. If the SSL certificate is not added successfully, you’ll still see the old HTTP protocol, which is insecure. Popular web browsers, like Google Chrome, have abandoned the sites that still hold HTTP protocol. If you try to access a site without an SSL certificate, you may see an error on your Google Chrome browser. Though an SSL certificate is mandatory for all websites, you should know that if your website handles online payments, user logins/registrations, memberships, etc., then it’s a MUST for you. Otherwise, your data as well as the data of your site users will be at serious risk. Sometimes, the third-party services that manage payments will also inform you to install SSL/HTTPs on your website to avoid getting hacked. This happens when your website is receiving payments using an online service like PayPal or Stripe. It validates your online identity and assures your users that your website is worthy to invest time into. Your users can make payments without any security concerns. Google supports websites that have SSL/HTTPs protocol activated. Sites with SSL/HTTPs will also have better search rankings than sites with the old HTTP protocol. Now that you know what an SSL certificate is and why you need one, the next thing you need to know is how it works. How Does an SSL Certificate Protect Your Website? SSL creates a layer between the user and the website server. This layer encrypts the information that’s being shared/transferred from a user to the web server and back within the browser. When a user browses a website URL, the first thing it’ll check is if the SSL/HTTPs is enabled, and then it encrypts the information before sending it to the server. The server has a special SSL key that helps in the decryption of the information. Similarly, when the server responds to the user’s request, it’s decrypted using the same SSL key to display on the web page. The encryption helps protect your website and information from getting hijacked. What is the Cost of an SSL Certificate? There are many SSL certificate providers on the market. All these providers are authorized and may offer different prices. The price ranges between $49-$199 / year depending on the services offered by the SSL company. Some of the popular SSL certificate providers also offer addons and services like installation of the SSL certificate on your website. These services come with additional costs for the user. We recommend buying your SSL certificate from GoDaddy. They’re one of the best domain name registrars and web hosting providers on the market. They manage over 75 million domains. Their SSL certificates start from $2.49 / month which is the best deal for a single site. They also help install the SSL certificate on your domain. Note: This information is for the users who want to buy an SSL certificate. If you’re looking for the free SSL certificate, then continue reading below. How Can You Get a Free SSL Certificate? An SSL certificate is a must for all kinds of websites. But the additional cost of an SSL certificate makes it difficult for many website owners to install it. This can be extremely frustrating. If an SSL certificate is now mandatory in order to have a successful website, why is it so costly? Wouldn’t it be better for everyone if it were free? Don’t worry: we have good news for you! There’s a non-profit company named Let’s Encrypt. They understand the need and importance of SSL certificates for all websites, so they decided to launch a free certificate authority for everyone. Their act of kindness was noticed by some of the most popular companies in the world, like Facebook and Google, and support for their cause has grown. Thanks to this, Let’s Encrypt can continue their work helping website owners like you. However, the process to enable an SSL certificate using Let’s Encrypt is advanced and not beginner-friendly. You’ll need to have coding skills, server knowledge, and full command of Shell / SSH to install Let’s Encrypt on your website. For beginners, we recommend using the best WordPress hosting providers who offer free SSL certificates when purchasing web hosting from them. They not only offer a free SSL certificate, but also install it on your website; which means you don’t need to worry about anything. If you’re already a customer of any of the above hosting companies, then you can ask their customer support team to enable an SSL certificate on your website for free. However, if you’re willing to enable an SSL manually, then we can give you the example of Bluehost. You need to login to your cPanel account and go to My Sites from the left menu. On this page, you need to click on the ‘Manage Site’ option to your website where you want to enable an SSL. Under the ‘Security’ tab, you’ll see multiple settings including the free SSL certificate option. Simply turn it on to enable an SSL on your website. Note: All web hosting providers will have different dashboards, but you’d mostly find the SSL option in the security settings. 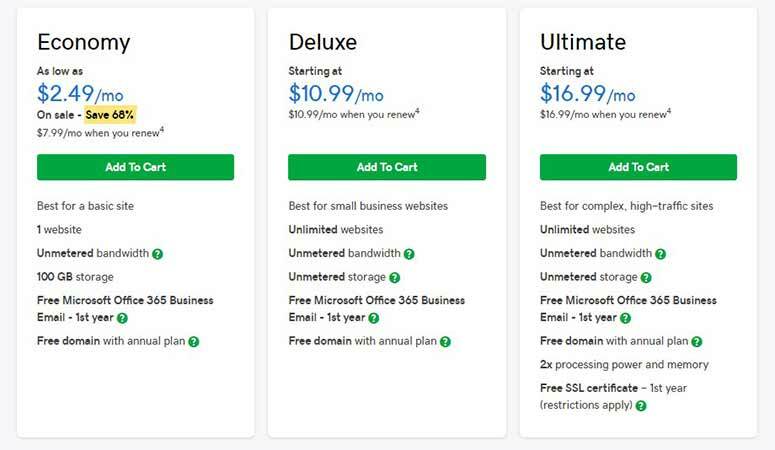 If you’re using any other web hosting provider than those mentioned and they aren’t offering a free SSL certificate, then you can simply move your WordPress site to any of the above hosting companies to avail the free SSL certificate offer. When you enable an SSL certificate on your WordPress site, you’ll also need to set up your URLs and start using HTTPs (secured protocol). The first thing you need to do is install the Really Simple SSL plugin in WordPress. You should check out our guide on how to install a WordPress plugin if you’re new to plugins. Once activated, you don’t need to take any additional steps. The plugin will automatically check if the SSL certificate is installed on your site and redirect all your URLs from HTTP to HTTPs. Now your WordPress site is using the secure SSL/HTTPs protocol which makes your website secure. If there’re still any files or URLs that’re not loading from the secured HTTPs, then it’s most likely due to bad coding within a plugin you’re using on your website. You can detect the faulty plugin and deactivate it to make sure you’re fully secured. We hope this guide helped you to learn how to get a free SSL certificate for your website. 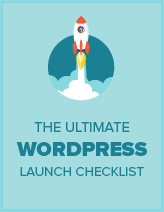 If you liked this article, then also check out our step-by-step guide on how to easily back up your WordPress site. I am using Stablehost, it is also providing a free SSL certificate by Let’s Encrypt.